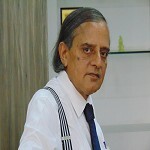 Dr Gubbi is a Ph.D, LL.B, ACS(I) and has around 30 + years of experience. 1. Chairman for Indian National Bar Association(INBA) for Karnataka Region. Chief Patron of INBA is Sri. Ram Jathmalani. 3. Joint Secretary for Bangalore Employers Association. At present we-INBA are spread across 16 Countries with branch offices headed by legal experts. WE WORK ON BOTH RETAINERSHIP BASIS AND ON CASE-TO-CASE BASIS. We appear in both Judicial & Quasi-Judicial Bodies up to High Court and Apex Court of the Country. We are spread across Bangalore, Mysore, Mumbai & New Delhi. We are on Linkedin: in.linkedin.com/pub/dr-gubbi-s OR, just go to Dr.Gubbi.S in search in Linkedin. BLOG: professionalcourt.blogspot.in, - Dr G’s Legal Forum on Google+.